E-commerce sites must be available and responsive at all times. Your customers expect fast, easy shopping and if they don't get it from your site, they will abandon their cart and go elsewhere. But a streamlined experience can't come at the expense of security. A breach could not only take you offline--it could take you out of business. Once you've attracted customers to your site, you need to deliver a consistent, pleasant shopping experience so they will keep coming back. That means doing everything you can, to make sure your servers don't get bogged down with the overhead of SSL encryption. You also need to be able, to serve every request, add new servers quickly to handle increasing loads, and secure your site against application-level attacks that could harm your customers and your reputation. DIPL offers a total approach to delivering applications across networks using a unified architecture. With DIPL, you can handle more shopping sessions with far fewer servers, and make your entire operation easier to manage. Our productive e-commerce development services are entirely based upon technological competence and domain proficiency, we provide measurable e-commerce solutions with flexible platforms, which let you display maximum number of products with multiple payment options. Development of dynamic B2C portal. Search Engine Optimization (SEO) of e-shop or e-store. Customization of existing e-commerce site. Development and integration of business specific applications. Integration of third party e-commerce applications. Custom design, development and deployment of online shopping cart from the scratch. Custom development, configuration and installation of shopping cart software. 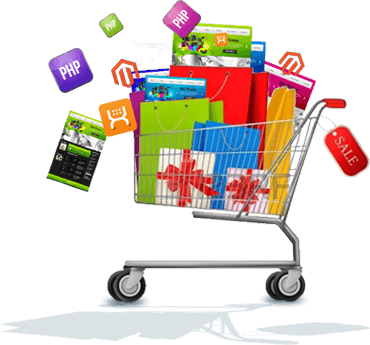 Technical support and maintenance services for e-commerce websites and applications developed by us. Accelerating server response by compressing traffic, caching redundant web page elements, and handling SSL processing. Balancing connections across redundant servers, while maintaining a consistent connection with each shopping session. Executing automatic failover to secondary data centers when primary servers become overloaded or unavailable. Speeding up replication of data among data centers for failover capability or disaster recovery.